Chamomile – One of the most popular herbal teas today, Chamomile has been traditionally used for calming and relaxation. Passionflower – Used for more than 200 years by Native Americans, Passionflower is traditionally used for easing occasional nervous tension and supporting restful sleep. Green Tea – green tea has numerous beneficial properties and is often consumed to promote energy and general well-being. Raspberry – Native to North America, Raspberry leaves are highly valued because of their unique astringent properties. The tea remains popular among midwives and herbalists today. Green tea is full of antioxidants that have been used for many beauty treatments including soothing tired eyes and as an astringent. According to the American Journal of Clinical Nutrition green tea can help to speed up the metabolic rate and speed up fat oxidation to support weight loss. Green tea is also known to simulate hair growth and keep hair shiny and soft. Just steep three tea bags in a liter of water and rinse your hair with it after you’ve conditioned it. 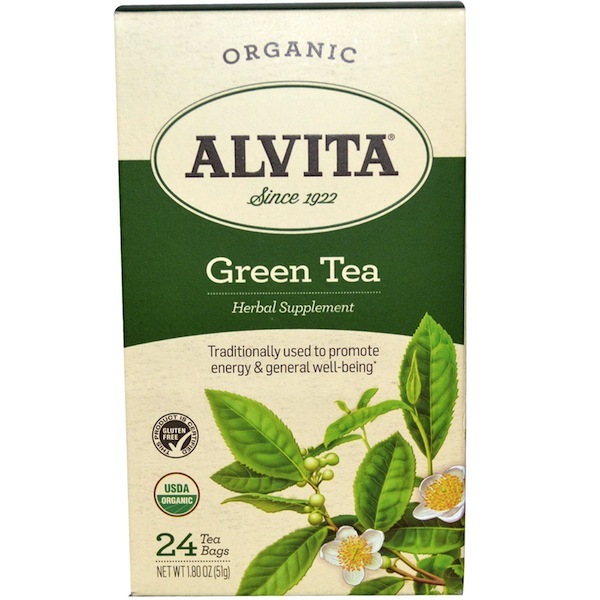 One of my favorite brands of tea is Alvita because their tea is fantastic – its organic and their tea boxes are 100% recycled paperboard.